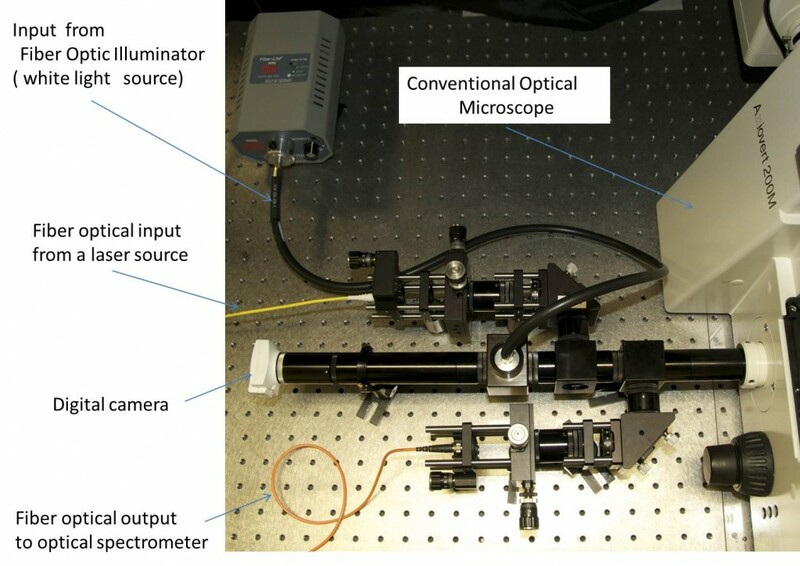 ACTO-A – a universal adapter which connects conventional optical microscope via camera port to a spectrometer. ACTO-A can help you to do Confocal Laser Microscopy and Optical Spectroscopy with your own conventional microscope. ACTO-A compatible with most conventional optical microscopes and the price starts from 10K. 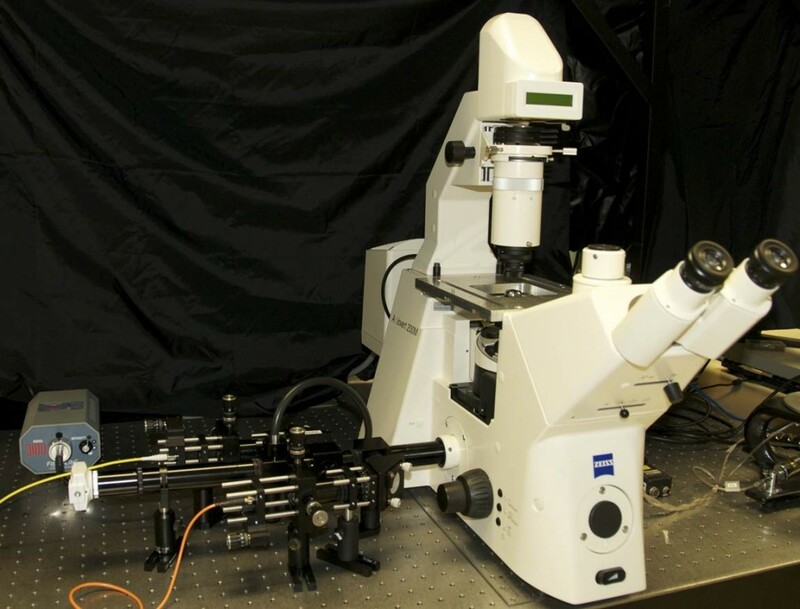 The adapter lets steer laser beam in the microscope optical path to focus it on the sample or specimen under investigation and collect scattered light from the sample along the same optical path. The laser is conveniently connected to ACTO-A via fiber optic input which also serve as a special filter. The collected scattered light from the sample is outputted via fiber optics output. It allows us send it directly to the spectrometer applying optical fiber or free space steering applying fiber optic collimator.